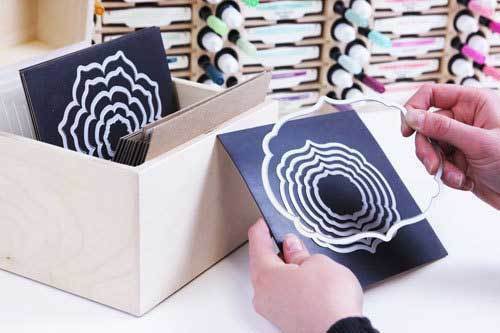 UPDATE: If you are looking to store the new 2018 Stampin' Up!® ink pads, please add these Spacers for a correct fit. 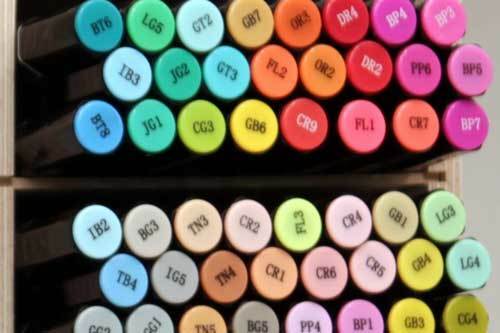 Never go searching for that coordinating ink pad and refill bottle color again! 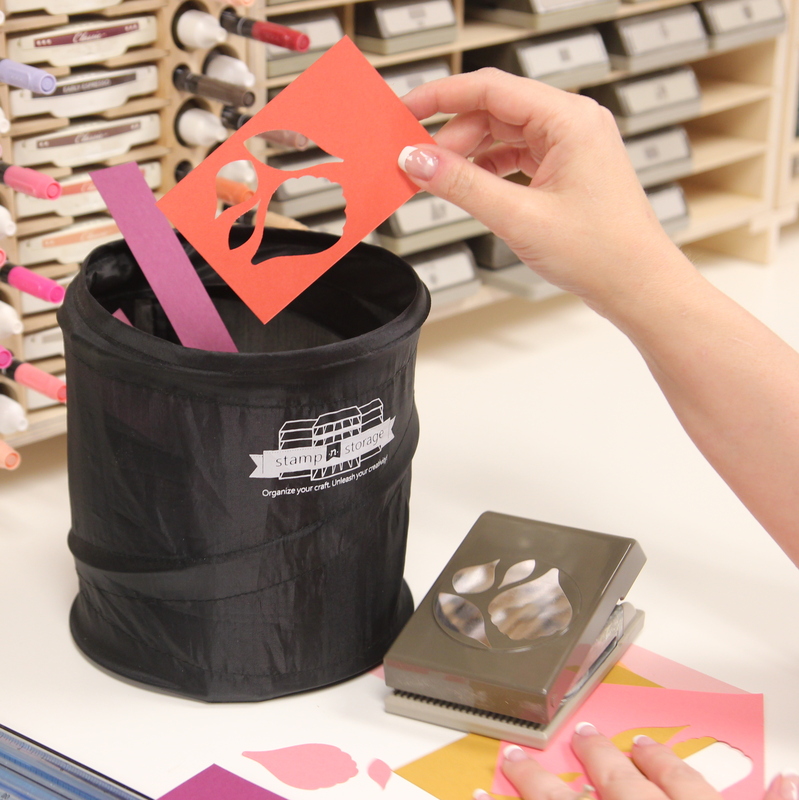 The finger slot cut into each divider makes removing the ink pads quick and easy. 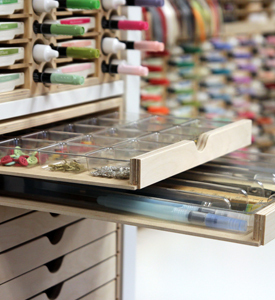 The dividers are removable if you want to store your larger accessories too. We’ve also designed a Ink Pad and Refill Holder that will perfectly fit inside of the square IKEA® Kallax shelving openings! The Ink Pad and Refill Holders are compatible with a wide variety of ink pad brands such as Stampin' Up!® , Memento™, ColorBox®, Distress™, and more. Click the link to the ink pad compatibility chart and spacer tutorial for more information. Very happy with this product. It is well-made and I envision it being quicker to access ink pads and refills when making cards.. This rack for standard ink pads and refills is very well constructed and generally of high quality. I love the design allowing me to store pad with refills. I also love that I can hang it on the wall. The wood is very nice but unfinished. I felt it needed to finish it with stain or polyurethane before using it. I am disappointed that my Memento ink pads do not fit in the slots sideways. I have to put them in lengthwise with the narrow end facing out. I love your products and craftsmanship. Love this item. No more looking thru a drawer to reinkers my pads. It is all tougher and so convenient to me now. Thanks for such great products. This holder is the best! Sturdy and well made. So here's the thing if you are planning on painting it. I felt it would be better to take out all the shelves and paint the inside. Then I laid out all the shelves and painted them, patiently waiting for them to dry and then turning them over to paint. It took a lot of time, but I knew it would be worth it. When it came time to put all the shelves back, I found some of them didn't fit! How could this be, right? It was driving me crazy! Then I decided to lay the unit on it's back and look at each shelve from above. I noticed some of the shelves were a bit shorter in width, but enough to switch them with the ones that didn't fit and YAY! It worked perfectly. So just keep that in mind, don't get upset. They fit when it was delivered, right? I just had to remain calm and figure it out. It's now sitting in my craft room, so pretty with all my Stampin' Up! ink pads and reinkers in it. I'm a Stampin' Up! demonstrator and frankly was upset that the company didn't create a holder to accommodate the new pads because they were smaller and were wonky in the holder. But when my downlines recommended the Stamp'n Storage units, I was excited to check them out Another tip...the little spacers fit nicely behind the new Stampin' Up! ink pads, bringing them to the front of the unit so I can grab them quickly. All is right in my card making/teaching world! Thank you for creating these wonderful holders! I started to get back into scrapbooking and cardmaking and needed beautiful functional storage. I already had 2 of the stamp pad and refill ink storage holders and swore that would be all. However my ink pad collection jumped and it was a no brainer to purchase another one from Stamp N Storage. The quality and finish of the product is top of the line and it fits very well into any decor and you can paint them or leave them unfinished. Also the employees are always great at answering your questions and making sure you are selecting the best items for your space. Arrival of my items have always been prompt and my craft office is coming together nicely. Absolutely perfect in size, workmanship and quality. With the addition of spacers, I have complexly filled all 60 slots with "old" Stampin' Up Ink Pads, some 'new" sized Stampin' Up Ink Pads and Memento and Versafine and Versamark and....and...and now need another! 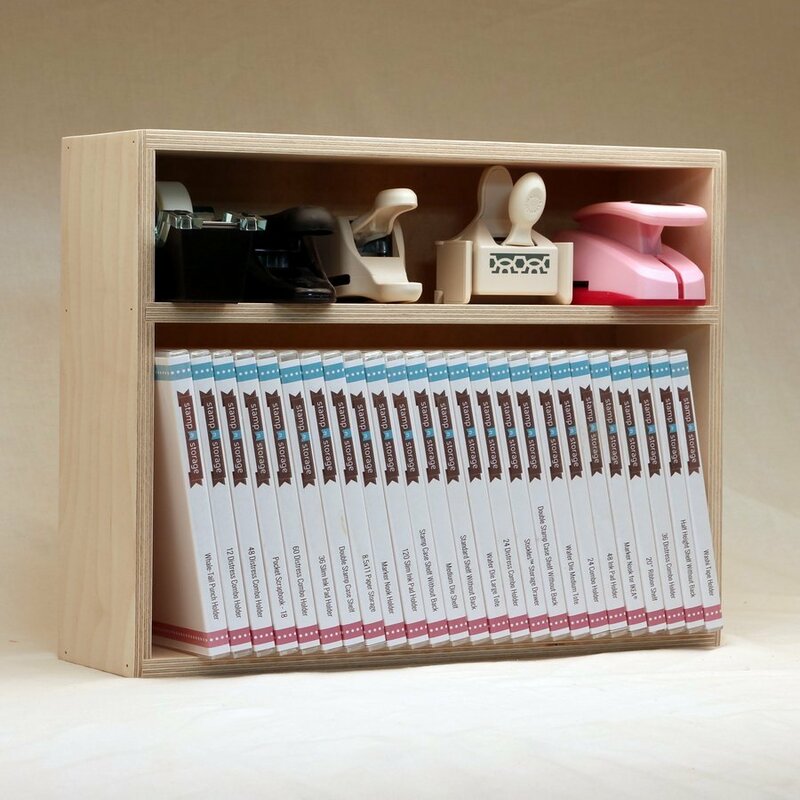 Didn't realize how little space was taken up when organized in this terrific holder. 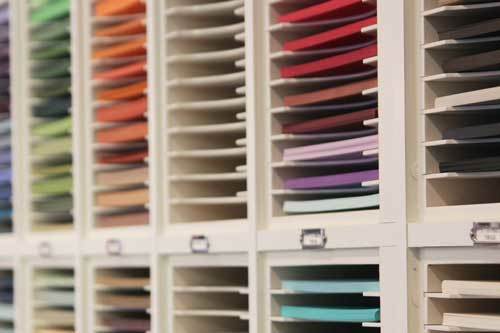 Arranged in rainbow order, simple to find just the right ink and beautiful to look at when entering my craft room. . Very pleased with the product. Fulfilled my need and expectations. Will be ordering another. Functionally absolutely superb. Didn't miss a detail; an engineering feat. Was slightly disappointed with the aesthetics aspect of the two pieces, as it was raw unfinished wood. Too many nooks and crannies to paint with any perfection, so we conditioned the wood with mini wax and then sprayed numerous times with polyurethane. Much better; but still much too unfinished looking to put on a nice crafting credenza. Arrived in perfect condition. Thanks very much. My Ink Pad and refill just arrived and is set up already. What a pleasure to have the pads and refills conveniently sorted together. Such a timesaver! I am just over the moon with this purchase. 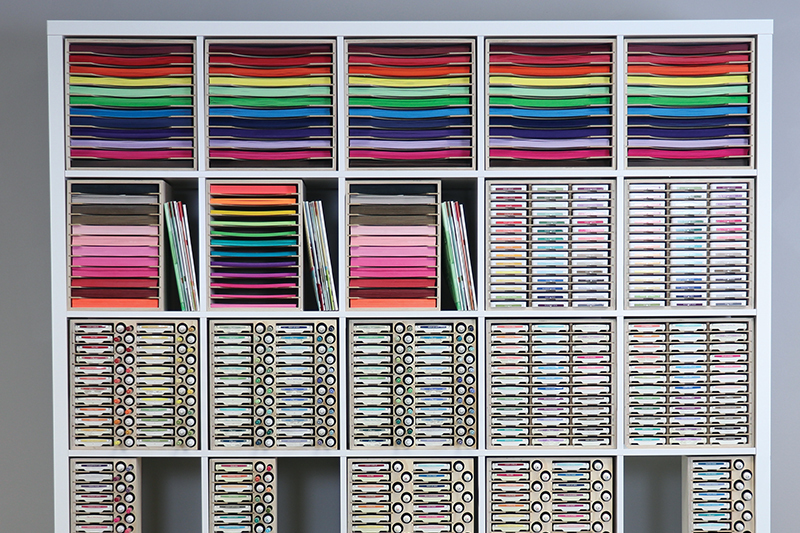 Wonderful use of space for organizing! This ink pad/reinkers #60 bin really works for my space. Upon getting them all inserted into the bin, discovered I had some reinkers missing. Lots of room for my Stampin' Up items but also some extra for Momento, StazOn, Versamark, etc. pads. Really freed up space in my stamping area. I already have an ink pad holder that is full so I decided to get one with the refill this time instead of storing the refills separately. I love all the storage holders that they have as it makes your room easier to use with everything being handy. I love how fast StampnStorage gets the order out. They are fast & I was so thrilled to finally get one of these. I ordered the one for 60 stamp pads/refill inks. I love it. 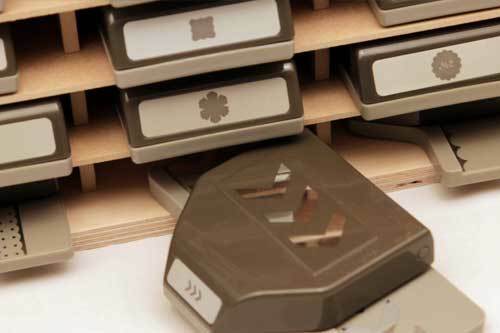 There is no way to be organized with stamp pads without one of these. I am using mine for Stampin Up Pads& refills but I hope to buy another for my Distress pads/Reinkers. When my hubby asks me what I want for my birthday, this is what he will be told to order for me. This product is wonderful. 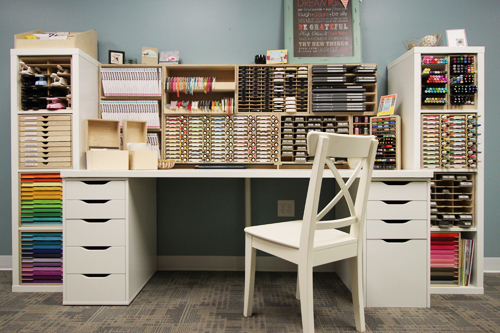 Well made, fit my storage space, and helped me organize my stamp pads and refills. Thank you. I love these ink pads and refill organizers. It is so nice to have all my ink pads, and I have a lot of them, all sorted with their refills readily available. No more dealing with boxes then looking for a refill. These are a definite must have! My husband bought this for me as a surprise. He knew I had been looking at these products for a long time. I was so excited to have this. My ink pads & refills are now organized to my liking. This piece is also top quality wood and finish. Love it! Just bought one 12 count to see if I would like it. It'seems now on my Christmas list in the number one spot! The product is awesome! 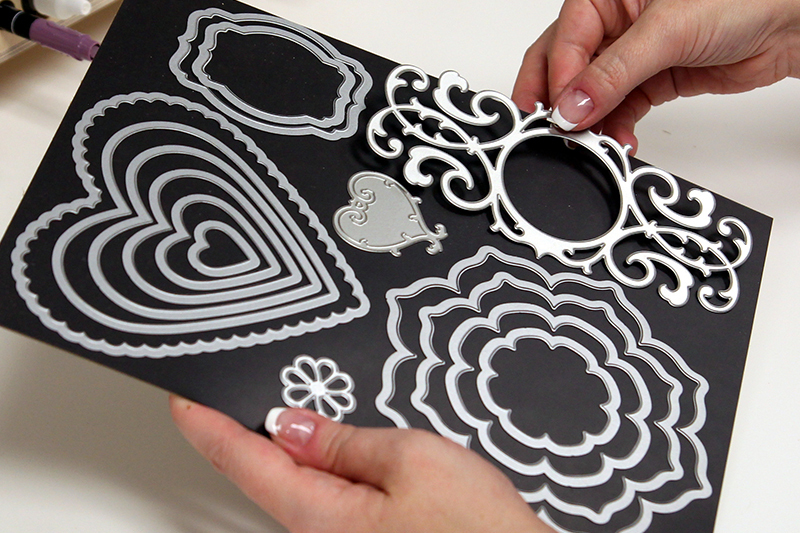 Wish they had these 20 years ago when I started scrapbooking. Fits my pass and reinkers perfectly! I recently purchased two holders and quickly learned I needed two more for all my stamps and refills. The holder is well constructed and designed, and an excellent value as compared to similar products. Removing the individual shelves makes it a breeze to spray paint (mine are painted white to match existing cabinets). My four holders, stacked two high and side-by-side, are functional and look great. I highly recommend the holders and other products from Stamp 'n Storage. Online ordering is easy peasy and shipping is quick. I was totally impressed with the quality of the product as well as how fast it was delivered to my home. Very impressed with this holder. Excellent craftmanship. Would highly recommend it. This is my 2nd Stamp Pad and Ink holder. I have filled one and working on the second. 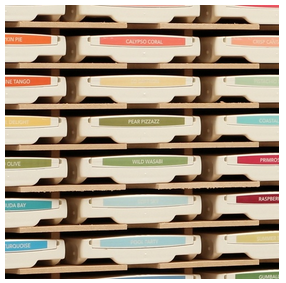 This item makes things so much simpler for me and so much more organized. I Thank this Company for their design. LOVE IT and MY KID for the Gift Certificate. Should of ordered one sooner! I kept putting off ordering the Ink Pad and Refill holder, and finally ordered one! Best purchase ever, I love having all my SU ink pads and refills organized by color and easy to see and use! I had previously stored all of my Stampin' Up! ink pads in an old cassette tape rack, and my reinkers were in a small drawer unit. The ink pads were so snug it was hard to get them in and out of the rack; it was hard to find the right reinker when I had to sort through a drawer full of them. Now both items are in a holder that's perfectly suited for both products! Love having the reinker housed right next to the appropriate ink pad. As usual with S-n-S products, this holder is very sturdy, well made, and functional. I'm a repeat happy customer! The Ink Pad Holder is perfect for my SU inks. 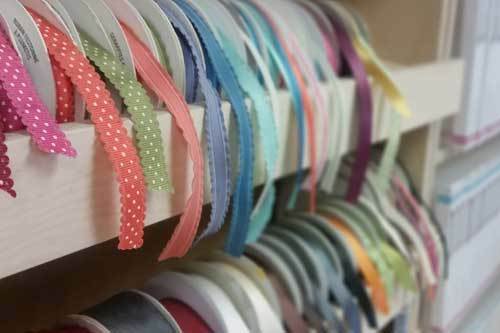 I most love that it is organized and neat, and very showy. The ink pad and refill holder is perfect for what it was designed to hold. It is thin enough to fit along the back of the counter and not waste space. Love this product!! Skeptical at first...now a believer! I was a little skeptical about the product at first, but it is awesome! The quality of the product outweighs the price. I love that it comes fully assembled and I can paint it whatever color I want to match my craft room! I love that I can now see all my SU! ink pads and refills (had them in a drawer before). Haven't gotten my 2 stsmp pad/refill holders painted yet but they will fit my space to a T. So excited to start this irganization process. The quality is great and they were delivered the next day! After years of having my ink pads stacked on top of each other on a random shelf, I'm so excited to have this ink pad/refill holder! It's well made and fits perfectly on my craft table. I have not yet found all my ink pads and refills (I obviously need the ink pad holder!) but I think the detail work involved in making the storage unit is wonderful. The wood used is gorgeous and I believe the quality of the product is more than worth the purchase price. I can't wait to fill up my Ink Pad holders. Thank you for such a well constructed product! This holder is perfect for holding my ink pads and refills. It sits perfectly on my desk and is very well made. Love it! I love my new combo holders! I just got them situated today and they look great. The only thing that could have made them better was to have them painted. I am so happy that I ordered this product, it is so handy to have ink pad, and refill together in one spot. I received my new stamp pad and re-inker unit earlier this week....I can't wait to put them all in it...1st I want to get it painted , so hopefully this week! I have a small unit for my new distress inks and love love love it! Thank you for making our lives easier also! I received my stamp and refill ink storage unit yesterday. I have it set up in my craft room. I really like that I can see what ink pads I have and if I have refill for that ink pad.